“Cities: Skylines is an excellent game. The only problem I encountered in game was when I played it a few days before public release. The blue lines for showing utility connections was really light against the white background, and one of the developers was watching my stream and confirmed it would be made a darker blue, which is what everyone sees now. “I love playing Cities: Skylines and yes! I’ve enjoyed the game a lot. It’s been hugely enjoyable even with a few issues in the game as they don’t spoil the overall enjoyment. It’s easily the best city builder I’ve ever played. Sim City was great back in the day but the most recent version was riddled with bugs and I gave up on it very early on. This game appears to have some longevity to it, the workshop is buzzing and the developers appear to want to support the game heavily going forward and they are listening! It’s everything Sim City could and should have been and more. I’ve only encountered a few problems with the game, namely when your city grows large enough there is an excessive garbage issues which is hard to control. I’ve also had local shops run out of goods but with none being imported or made locally, they never refill and then become abandoned. I’ve also had “death city” happen a few times where lots of bodies aren’t collected, though good road systems help a lot with this! The only other big issue I had was because I ended up causing it though I didn’t know that to start with. The city water lines were polluted because I didn’t have enough waste and my water inlets were low. I then added more water but forgot to check the pollution and ended up pumping even more waste in to the city! When I reached over 400,000 people in my city, I also had a problem with lack of workers and a 40% unemployment rate. I traced the issue to adding the Hadron Collider, which made my cims very smart. They were too smart, in fact, which meant that none of my industry areas had any workers. Turning it off increased my workers in these areas. Adding a new residential zone without any schools also helped create low skilled, uneducated workers, which in turn raised my population too. Lesson learned: Hadron Collider = Educationally OP, lol. I really want to see terrain editing added, though a mod is already available. I also dislike emptying trash and cemeteries (again, a mod works well) and want that to happen automatically. I can’t wait to get tunnels to help with some of the issues of taking up valuable space in the city. As for any memorable moments, during one part of the game, my boats appeared to dance with each other in the harbor and spun madly over my bridges. I had some of the most skilled pilots in the world as they somehow land planes between impossibly high buildings! I once added too many train lines and had around 100 trains stuck all around the city, which looked ridiculous. If I had to give any tips, plan ahead! Think about what you are going to do later in the game as other areas open up. Don’t rush to build too much too soon, watch the RCI and respond appropriately. Plan the roads well for industrial areas and make sure they are strongly linked to nearby highways. “Simulation fans rejoice! Cities: Skylines is finally here and we have a lot to be excited about. 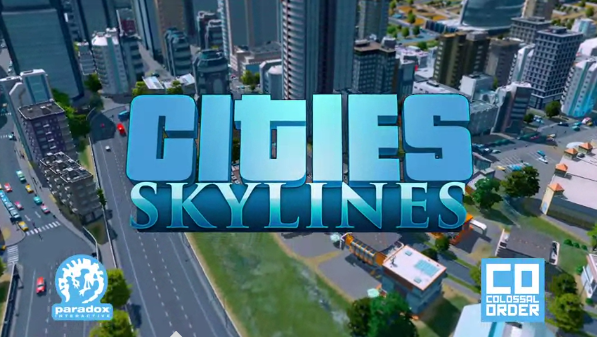 From ease of play, compatibility, mod-ability, customization, and community…Skylines has it all. Gamers who have spent a lot of time in the simulation genre this past decade have noticed quite the evolution in their experience. I could go further back than that, to the original SimCity, but I think a good focal point in understanding my perspective of Skylines would be SimCity 4. Not since SC4 has there been a game quite as ambitious as Skylines. Many have tried, and failed to replicate those experiences. Maxis made several city games like SimCity: Societies, which felt too small. Games like Cities XL rehashed themselves multiple times, trying to recreate the vast city feel, only to be plagued by performance issues year after year. Tropico by Kalypso was a welcome change, but it still wasn’t SimCity. Hybrids like Anno 2070 were incredible games, but were unable to come close to the wonder we had in SimCity 4. Our best hope was the Maxis reboot title “SimCity”, which is now commonly known as SimCity (2013). While successful, the mixed reviews, cramped map style and limited “mod-ability” in a world where customization is so commonplace left a lot of people frustrated, especially in it’s initial online only format. On top of that, the launch left players feeling unfulfilled and unsatisfied. Would there ever be another simulator that came close to SimCity 4? 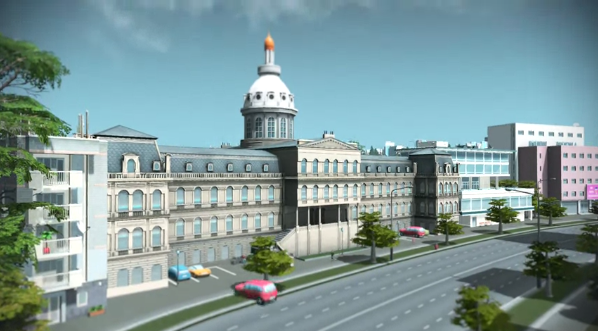 Just 2 short years later, the long development of a full city simulator by the company, Colossal Order (the brains behind the transit simulators Cities in Motion and its sequel), released a simulator that would make Will Wright’s (the founder of SimCity) jaw drop. Delivering a near flawless launch, Cities: Skylines delivered hundreds, if not thousands of hours of gameplay via vast, traffic snarling real estate. This was before the Steam Workshop was introduced. I had the pleasure of being able to play Skylines a week prior to launch. I met a few of the Paradox Interactive folks, the distributor of Skylines, through mutual contacts that were originally from the Maxis team behind games like SimCity 2013. I spent a lot of time playing SimCity 2013 and it’s expansion on livestream and enjoyed them quite a bit in spite of their flaws. SimCity is one of the most beloved games and used a multiplayer region system known as GlassBox to allow multiple players to play practically simultaneously. With success comes rough patches. During its launch, the game suffered big time because of major server issues and will inevitably be removed from the game play servers. Folks who desire multiplayer features will soon flock from the game. On top of that, it was solely available on Origin, which, at the time, could only be played online (though offline mode has since been patched in). When you first play SimCity, its unique system guides you through its steps, which is great for newcomers. You are allowed to loan juggle right off the bat and the supply chain management was a lot of fun (though the game often took control of your entire city once you specialized.) Sims were ageless and their literacy was based on the capacity of the building rather than their level of education. SimCity seemed like an endless battle with gridlock and invisible mass transit balanced with strange cryptic numbers. One of the biggest problems and probably the greatest debate over SimCity was its city size limit. Secondly, you could only use the maps that were provided and the system made it confusing for modders to incorporate new maps. Because of this, modding was limited at best, very broken, and forced players to play in a specific way to receive any benefits. And then Cities: Skylines was released. There are evident differences between the two games. 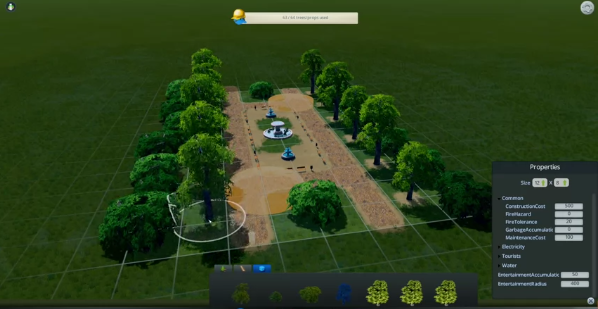 Cities: Skylines is distributed on Steam, which can be accessed offline. Skylines does not offer a multiplayer experience at this time and several quotes from Colossal Order lead us to believe that it isn’t planned for this game. Unlike SimCity, Skylines does not unlock the first loan until you upgrade your city at least once, but it does have a bankruptcy protection system if you should dip too low. 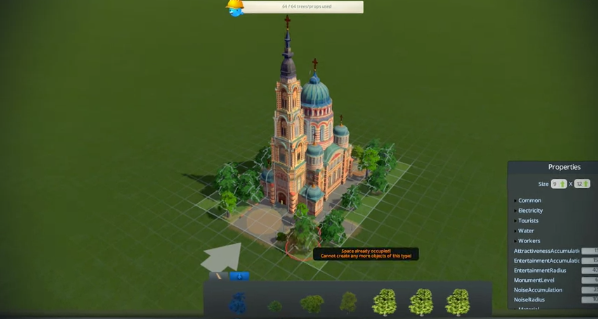 Slow, less ambitious building in the first hour will allow players to get a better feel for Skylines to help avoid bankruptcy. The biggest common factor and the real win for players is the Steam Workshop. Thousands upon thousands of entries had been submitted before the game was even launched, which allows for virtually anything to exist in your city. Unfortunately, it also means that every single creation, including mods with “one additional tree”, leads to a saturation of available downloads. Fortunately, a good rating and metrics system allows the cream to rise to the top. Initially, the Skylines map appears to be even smaller than SimCity’s until you learn that part of your rewards includes the ability to unlock more land (similar to SimCity 4). Mods allow you to unlock even more land making Skylines one of the largest city expansion games. This experience is incredible and gives the virtual world a realistic feel to it. Creating and uploading a map or asset with the built in Steam Workshop support is trivial. Everything is tied to your Steam account and makes being creative rewarding and fun. Unity, Skylines’ engine, allows for complete game changes such as improved graphics, independent camera systems (helicopter camera, first person camera), completely unlocked maps, and much, much more. Many limitations can be potentially overcome with the creativity of its fan base. Skylines encourages freedom and a good portion of the modding extends that even further. The graphics in Skylines are beautiful, but still below part of what we’ve come to expect with city simulators. Building variation is limited but will inevitably be fixed over time. In the meantime, players can download other building models to make the scenery more distinct. The user interface in Skylines is also less polished but can be fixed with mods. Skylines also comes equipped with a fully functional terrain editor that allows for imports from actual height maps. The asset editor allows you to create your own buildings and structures, edit existing ones, and modify the effects they have on your city. 3D modelers will find the ability to import their models very easily. Traffic management is essential. The road tools feel a bit more versatile and makes upgrading a snap. Skylines also comes stock with highways, one way roads, and importable creations from Workshop highway experts, all things that SimCity sorely lacked. Want to color a bus route a different color? Then use it as a transfer bus to a subway station that travels under a river to another train station out of town? No problem. It’s even easier than it sounds! The in depth mass transit system allows you to see actual figures, adjust funding and even allows you to see percentages of cars driving off the word when things work properly. Customization is key in simulators and Skylines sets the bar even higher. See a building you like? Name it. See a person you like? Name them. Do they have a pet dog? Name it. Want to set different rules in a section of town? Name it and apply those rules. Skylines allows for everything from tax hikes in specific sections, specialized industry using ground resources, and even legalization of controlled substances. With that said, the level of expertise is slightly higher. Skylines has Chirper, a bird that appears to be the same species as the Twitter bird. He sits at the top of your screen and sends you random “chirps” (tweets) from your citizens and how they feel about things. After awhile, he can be a little annoying and can be easily moved or removed with mods. Other popups can be missed if you are distracted (which is easy in simulators), and might be confusing to new players. You can extract virtually every available resource on your map until its completely gone, which, unfortunately, can be quite fast. Your industry’s approach can be quite interesting, particularly when dealing with educated workers. Specialized industries often require uneducated workers. Folks who seek education will go in search of better jobs, and sometimes, unemployment rather than working at a job below their skill level. They often travel long distances to increase their knowledge and this creates interesting scenarios with available jobs and unemployment later in the game. Residents have an age, life cycle and are completely uneducated when they come to your city. They have to go through various stages of education (much like in reality), and will start a family. Eventually, they will die and your city will have to deal with cemeteries and crematoriums. Game play in Skylines is fluid, but tends to slow down (even in the fastest setting) when your city reaches a certain size. This slowdown is independent of hardware specifications and is a product of the engine where too many things are being processed at the same time. While mildly frustrating, Skylines has an elegant way of just slowing down the experience without making it seem sluggish or taking away from the sleek game experience. Compatibility with Skylines exceeds even the multi-platform approach by Maxis with SimCity. Developed using the Unity engine, the potential for Skylines to be on numerous platforms exists and will easy grow at the designers’ wishes. It will be very to see a simulator potentially go to console again! Did I mention that Skylines is half the price of most launch games (SimCity 2013)? That’s right. Half price. In the long (or possibly short) term, SimCity will be a shell of what folks enjoyed about it while Skylines will keep on trucking. I believe that Skylines will be with us for a long time. In an industry that’s evolving faster than ever, I don’t think it will be the top simulator for a full decade like SimCity 4, but I think it will inspire a whole new generation of fans and developers to up their simulator games. Simulations are alive and well, thanks to Cities: Skylines, Colossal Order, and Paradox Interactive. The legacy of SimCity will live on with a new name and a new company. I enjoy SimCity 2013 and will always go back to it. Skylines, however, will define my simulation outlook for the foreseeable future. Colossal Order also has plans to bring more SimCity fan familiar things like tunnels and disasters into the game at some point, most associated with no charge. I don’t think a scale of 10 would suffice for Skylines, simply because I believe simulators are best played when the user allows themselves to play the simulator whichever way they find it interesting and fun. I prefer to use the amount of freedom as a good metric for the success of a simulator in my eyes. In regards to modding alone, Skylines freedom appears endless, and it will take a long time for someone to create something quite as good. Where SimCity felt cramped and limited, Skylines created a base for the player to design a work of art and create something they feel attached to. Thank you, everyone, for taking the time to review Cities: Skylines. This game was developed by Colossal Order and is available for Windows, OS X and Linux. If you want to stay updated on more Gamer Compatible reviews, you can follow us on Twitter: @gamercompatible or on Facebook: @gamercompatible. Images taken from the Cities: Skylines Steam page. This entry was posted in Interviews, Reviews and tagged cities, colossal, dead, Linux, order, os x, people, pollution, public transportation, reviews, skylines, taxation, windows. Bookmark the permalink. Es una app todo en uno”.